HomeFeatured WritersAre the Spurs the Best Organization in all of Sports? Mark Jackson recently said during a Golden State Warriors game that Stephen Curry was actually hurting the development of youth basketball because all kids want to do now is shoot the three point shot. It was probably the dumbest thing I ever heard on the air… That really speaks volumes because Mike Francesa is on five days a week here in New York. Jackson’s statement was ridiculous on so many levels. The Warriors and Curry play team ball, their philosophy is pass up a good shot for a great shot. This is something Steve Kerr learned from one of his mentors, Gregg Popovich. 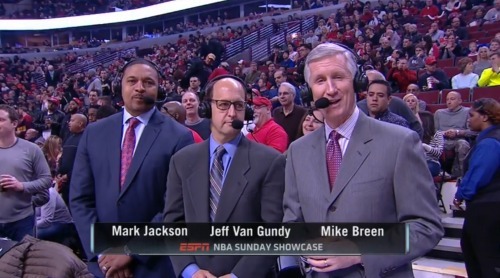 I guess Jackson misses the day of isolation basketball and that is probably why he got fired from the Warriors and is now announcing. The entire basketball world is focusing on the Warriors (29-1) and the Cleveland Cavaliers (20-9). But, there is an old saying, “The more things change, the more they stay the same.” The San Antonio Spurs are 9-1 in their last 10 games, 27-6 overall and 18-0 at home. San Antonio continues to be the best organization in sports. Under Popovich SA has won 50 or more games for 16 straight years. 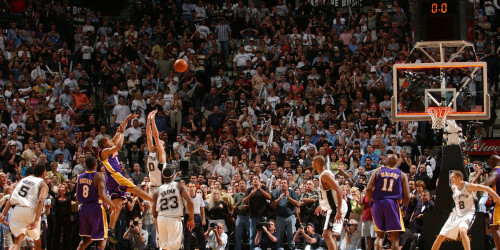 They have won 5 NBA Championship and if it weren’t for a Derek Fisher buzzer beater and Ray Allen Three pointer the Spurs would be 7-0 in the NBA Finals. Every year we see players leave teams for more money via free agency. The Spurs have kept their nucleus intact. They have been able to keep winning and build through adding players in the draft. 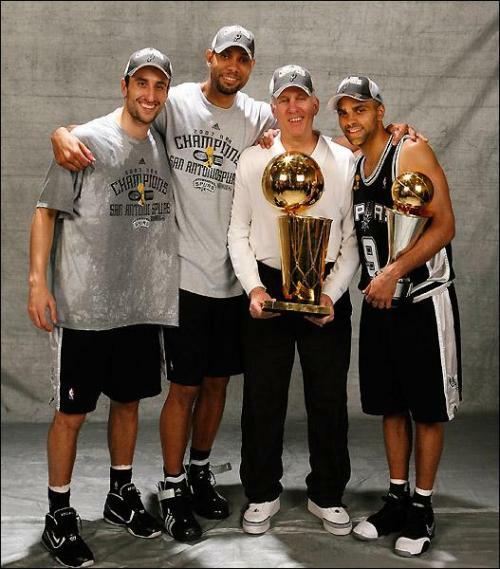 Tim Duncan, Tony Parker and Manu Ginóbili have all taken less money and lesser roles… all in the name of winning. Duncan, Parker and Ginobili make a combined $20 million per year. The Lakers, Kobe Bryant makes $25 Million per year. (Yes, Bryant’s salary is the worst contract in sports). 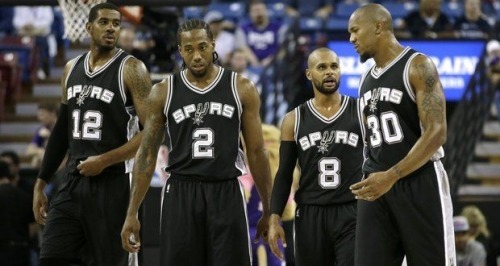 There are no egos on this team, it is all about the name of the front of the Jersey (SPURS) not the name on the back. What was once the “Big 3” is now the Big 2. Moving forward, this is now Kawhi Leonard and LaMarcus Aldridge’s team. Pop continues to do a masterful job in monitoring player’s minutes. Only Leonard averages more than 30 minutes per game (33.5 min). Leonard is averaging 20.8 points, 7.4 rebounds, 2.1 steals and 2.8 assists per game. No disrespect to LeBron James, but Leonard is now the best two way player in basketball. (He is also shooting 48% from three point land.) Oh, and did I mention that Leonard is only 24 years old!!! The only negative to Leonard’s game is that sometimes, he is still too humble and will take a lesser role to accommodate other players around him. I still think that when healthy, the Cleveland Cavaliers have the deepest roster. But I would never count out a healthy Spurs Team. Last season, Kevin love looked lost in his first year with the Cavs. Love has settled in nicely and is averaging 17 points and 10 rebounds per game. As the season goes along, I expect Aldridge’s numbers to increase. (Right now LA averages 15.4 points and 7.8 rebounds). There are many “Haters” when it comes to the Spurs and I can’t see why. They don’t look for the spotlight, they don’t talk trash, they play team ball, and their aging superstars let their young players grow and development. They are everything right with team basketball and team sports. As a former AAU and college basketball coach I patterned my coaching philosophy based on the Spurs. I played 10 players every game and we were all about sharing the ball. I had tremendous success with that philosophy. I have 4 teams that I root for in this order. New York Knicks – Like an arranged marriage, my family forced me to like them at a young age. Golden State Warrior– I watched Stephen Curry in college and one of the very first articles I wrote was two years ago on why he’s the greatest PG I have ever seen. San Antonio Spurs. There is no denying the Spurs are the greatest organization in all of Sports. I will put Gregg Popovich ahead of Phil Jackson and Pat Riley because he has done it with one team. I would also say that Duncan has had a better career than Bryant. Duncan and the Spurs have been a picture of consistency. The Lakers have been a train wreck since Jackson left them. Book it now, the winner of the Spurs vs Warriors will face the Cavaliers in the Finals. And listen to the Monte Cristo Sports Thing Thursday Night’s at 7PM on WRNJ.